Pixar has unveiled its ‘SparkShorts’ program, which is an experimental storytelling project that’s dedicated to discovering fresh talents and techniques, from both within and beyond the company. “The ‘SparkShorts’ program is designed to discover new storytellers, explore new storytelling techniques, and experiment with new production workflows. These films are unlike anything we’ve ever done at Pixar, providing an opportunity to unlock the potential of individual artists and their inventive filmmaking approaches on a smaller scale than our normal fare,” explained Jim Morris, President at Pixar Animation Studios. ‘SparkShorts’ will make its official debut at Hollywood’s El Capitan Theatre on 18 January with exclusive viewing of its first three short films Purl, Smash and Grab, and Kitbull, all of which will run at various timings until 24 January. The short films will subsequently air on the official Disney•Pixar YouTube channel. 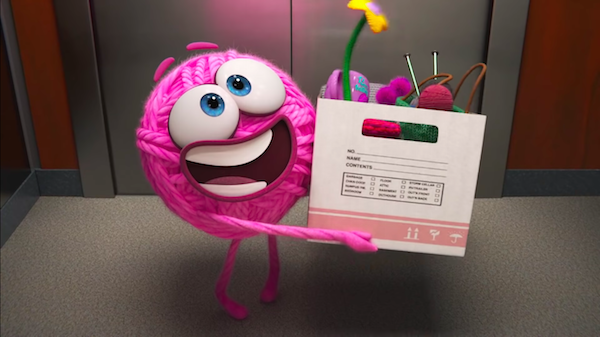 Find out more about ‘SparkShorts’ inside Pixar’s introductory video below and read the synopsis for each of its first three films here.